With over 40 years’ experience, Tilda Pure Basmati has become on of the UK’s most respected rice brands. With a prominent focus on Basmati, all of the rice is DNA tested, free from inferior or broken grains, aged for at least 9 months, while the brand works hand-in-hand with the farming community to ensure quality produce. What’s more, Tilda recently carried out a survey as part of their Genuine Goodness campaign, which revealed that cooking someone’s favourite meal is the ultimate way to show care. This week’s recipe (amongst others) was created by nutritionist, health writer and broadcaster Dr Sarah Schenker in collaboration with Tilda, on the back of that particular survey. Cook the Tilda Pure Basmati rice in excess water for 10 minutes, drain rinse with cold water and drain again. 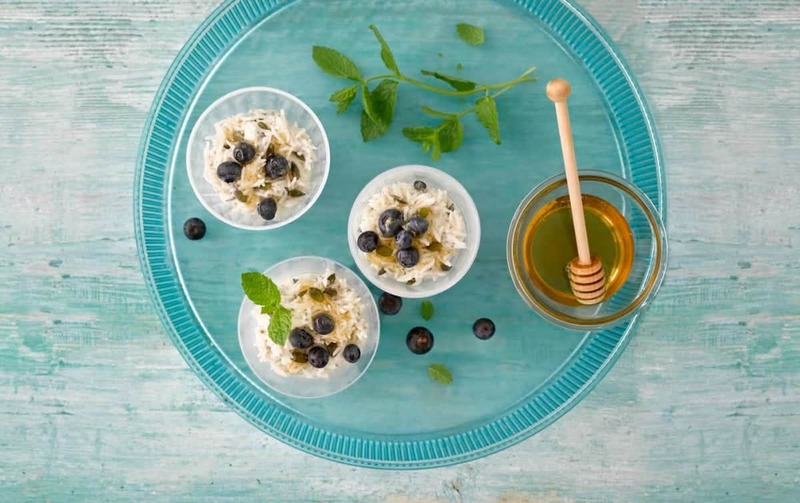 To serve top with the blueberries, honey (syrup) and additional yoghurt if desired. Further recipes and information on the Genuine Goodness initiative can be found at Tilda.com, as well as a download of the Big Hearted cookbook, created by Sarah Schenker exclusively for Tilda®.